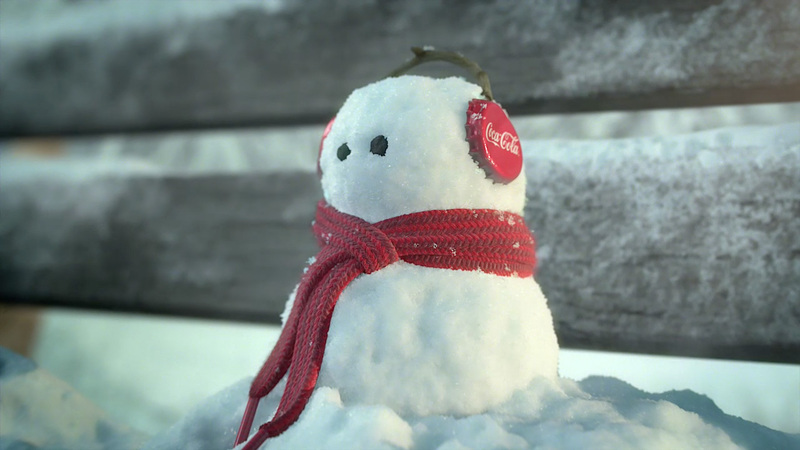 Mill+ teamed up with the Wieden+Kennedy creative crew on Coke 'Footprints,' airing during the 2014 Winter Olympic games in Sochi. This love story takes place in a snow covered setting, where two sets of foot prints converge into one. It isn't until the end that your see the love birds, hand in hand. The kicker? It is 99% CGI. The team made the decision to go all CGI in order to get the level of detail needed. There was a simple, lovely story to tell, but the amount of detail and the approaches needed to achieve those details were anything but simple. Recreating the natural world is one of the great challenges a CG artist faces. Much attention was given to finding the little subtleties and imperfections in the snow in order to bring the scenes to life; from the flakes and foot prints, to the bottle cap ear muffed snowman.